The OpenPlanning project was a collaborative interdisciplinary research project involving Liverpool City Council, Liverpool and Lancaster University, as well as commercial and community stakeholders from Liverpool. The project addressed the engagement deficits in established public consultation procedures for development applications. 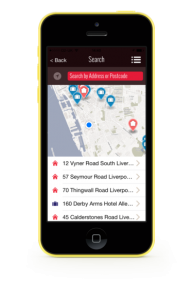 As one outcome, a mobile app was developed and tested that displayed planning applications on a map offering users easy discovery based on defined geographic interests.